Drop by for a moment to wish everyone Happy Halloween! Let me tell you. I have not celebrated this festival before, and I don’t really know much on how does it feels to me. Furthermore, in Malaysia, there is no atmosphere promoting Halloween much, except some small little pumpkins seen in the malls. People here don’t really celebrate it, no grand party or whatsoever…so, the next morning, would be just a usual typical Monday for all Malaysians, going for work or school….and for me, going for submission! Ahhh…it’s design submission, draft for the final. So, this is how Halloween this year turns out to be special to me. Ahh,,,don’t spoil the festive mood, especially to those who are celebrating it! Have you trick-or-treat? Have you bought your halloween costumes? Have you freak out your friends with your make-up? 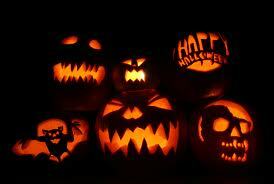 Have you carved the pumpkins with those funny or horrific faces? Have you got candies from your neighbours? Have planned your halloween party at night? Have fun! Enjoy Halloween 2011! Happy Deepavali to all Indians! I would like to take this opportunity to wish Happy Deepavali to all Indians around the world, particularly Malaysians, and specifically to my Indian friends. May you enjoy the Festival of Light with awesome celebration! Deepavali is the biggest and the most significant day of festival for the Indians. I think it marked the day in legend that a beast is killed by a warrior, and hence light is returned to the land, which represents a sign of celebration. This day is even far more emphasized than the Indian New Year or Thaipusam. Yeah…many of us still do not realize that Deepavali is not actually the new year celebration for the Indians. Their new year usually falls on April, which no public holiday is dedicated. I think it is unfair for the Indians that are only given one day of public holiday for Deepavali, while Hari Raya and Chinese New Year get two days each. I think it would be fair enough to add another day of public holiday to them, which would eventually add another day of holiday for all Malaysians! (That would be nice and great news to all too). I personally don’t have much Indian friends, and I have attended open house before back in many years ago. It’s a nice experience of learning other people’s culture too. Well…the Deepavali comes at the right time for me, as my campus has given us three days break, which means more time for me to do my works. Deepavali would be just another ordinary day for me, staying inside my room, doing my assignments. Anyway,..don’t spoil the festive mood first! Before I end this post of greeting, I would like to wish again to all Indians, Happy Deepavali and to all Malaysians, happy holiday! All I have to say is that my campus is getting very lazy! It is definitely a good news for students that the campus would be closed for three days beginning tomorrow for Deepavali break. It is nothing much happier to me, but still it gives more time for me to complete my works in multiple modules at the same time before submission next week. Hence, I’m still glad for the given three-days break, which actually turnd out to be a week-long holiday for me and my classmates. 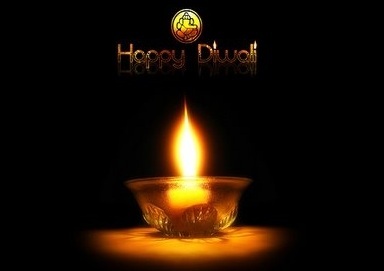 Deepavali, the Festival of Light for the Indians would be on this Wednesday, 26th October 2011. Extra holidays are given on the eve and the day after that. I had no class on Friday and hence, I could enjoy the break continously beginning tomorrow until the next Monday which is the day of final submission for design. Terrifying! Actually, the break for me had already began now, on this Monday’s afternoon…and that is why I can call it as a one-week break, which is not a break for us. It is the most crucial time or weeks for me and my classmates to complete the assignments, especially the most heavy one, on design final submission with presentation board and models. I have to plan the time well on this week, so that I could finish the works on time, and in satisfying level, to myself and most important of all, to the lecturers….but still, I can sense laziness in myself. Have to get rid of that and start working up, on these last few weeks before the end of my final semester, and above all, before my graduation at the end of this year which is approaching soon. 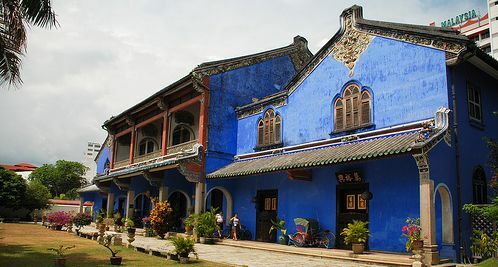 I have been to Penang many times and I had visited the mansion which is popularly known as Blue Mansion due to the result of mixing lime with natural blue dye made from the indigo plant. It is built in traditional Chinese architecture with mixture of vernacular adaptation and British influential styles (Art Nouveau and Gothic). It is built by a rich Chinese merchant, Cheong Fatt Tze at the end of 19th century which has 38 rooms, 5 courtyards, 7 staircases and 220 timber louvre windows. It is now a private residence used for partly hotel and partly museum dedicated for tourism, while still maintaining almost all of its original essence. The mansion is no doubt a symbolic historical structure for Penang and for the whole Malaysia, but I still can’t believe it could be listed in top ten of the world. There is even no need to compare this mansion with many other much better mansions around the world in many aspects. For me, yes…Cheong Fatt Tze Mansion is rich in heritage value expressed in architecture and culture, but if compared to many others around the world, the mansion is way far behind for the competition. I guess that it can be listed in top ten due to the person who created the ranking have had a good time visiting the mansion. Anyway, it’s still a good news for Malaysians as one of our structures get well known around the world after the ranking is published out. The only other Asian mansion that made to the list is the Kolkata Palace in India. The other mansions listed are Villa d’Este in Italy, England’s Castle Howard, Chateau de Chambord in France, Catherine Palace in Russia, Fallingwater in the woods of Pennsylvania, Beauport House in Massachusetts, Werribee Mansion in Melbourne and Powerscourt Estate in the Wicklow Mountains. Out of all the 10 mansions listed, I only have known the Fallingwater designed by famous architect, Frank Lloyd Wright besides than the Cheong Fatt Tze Mansion. Fallingwater truly deserved the ranking due to its strength in combining architecture with its natural surrounding to form a picturesque space of living. It is an iconic symbol of house for the Americans. Only one Chinese-styled mansion is listed and that is not located in China, but in Malaysia, which is the Cheong Fatt Tze Mansion. I guess it is very hard to find thousand of great mansions there in China and pick one, so the one who created the ranking just pick the famous one in other countries with Chinese people, and so Cheong Fatt Tze came to the top. The mansion is no more than an ordinary double-storey Chinese courtyard house, with just an addition of its distinctive blue colour facade. It’s already been over a month from the last time watching a film in the cinema. It appears that I have been inactive on my interest on watching new movies lately, mainly due to heavy workload from the assignments. Finally, today, another chance for that has came, and the movie chosen is ‘Real Steel’ after several consideration and analysis into the film’s ratings and reviews. In the beginning, I don’t have that interest on watching ‘Real Steel’ because basically, I’m not the fan of robot-fighting movie, and also that the trailer looks not convincing too. Eventhough there are many claims that the plot is very predictable and the script is kind off too ordinary, I find that these two conditions do not ruin the whole quality and intensity of perfection of the film. The space beneath the plot allows for sufficient development of characters without going too much, which strengthen the emotional aspect of the film. This is what makes this film stands out from the other typical robot-themed film, including Transformers. A good portion of emotional impact is seen in the film that drives audiences out from not just watching robots fighting emotionlessly but also telling them on the bonding that matter the most. The performance by the characters are very well and convincing, especially for Hugh Jackman, and also particularly the young boy, Dakota Goyo. The young kid must have a bright future ahead as a star due to his ability to perform well in character like this. The visual effects on this film are definitely not as great as those we have seen from Transformers, but still arguably satisfying to a level that conveys the technological advancement of robots in 2020 (the time of the setting of the story). The editing of the film is also done brilliantly, where certain amazing effects or scenes are emphasized in creative ways. The final moment of the film can be considered one of the best or most memorable scenes of the year (the scene of the final stage of the robot-fighting competition) and that is the part that caught me holding my breath for such a high level of excitement. There are still several hilarious parts in the film that would keep you entertained behind all these serious stuff like those competitions and family issues. The whole film is very interesting, far beyond my expectation, and climbs beyond the boundary of typical robot-themed movies. For Transformers’ fans, sorry to say, but Real Steel is far better in many aspects. I came in to the film with less expectation but leave with big surprise and lots of entertainment. 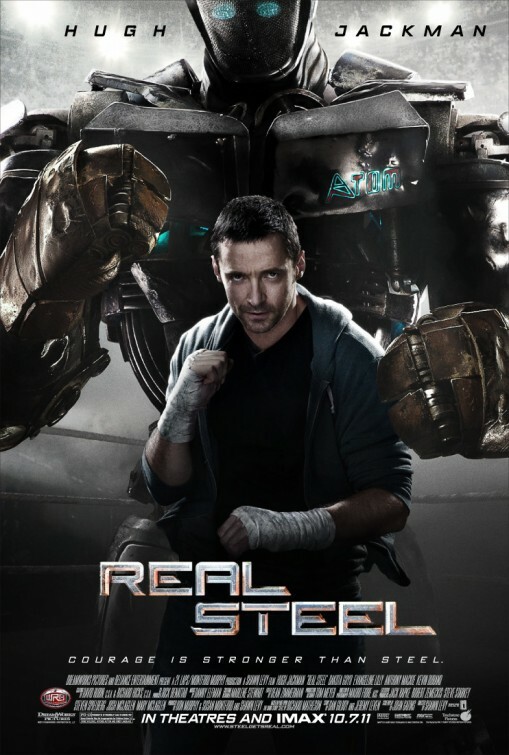 ‘Real Steel’ is definitely one of the best films of the year, and I would give quite a very high rating, 8 out of 10. Only very few films could get such a high rating from me. 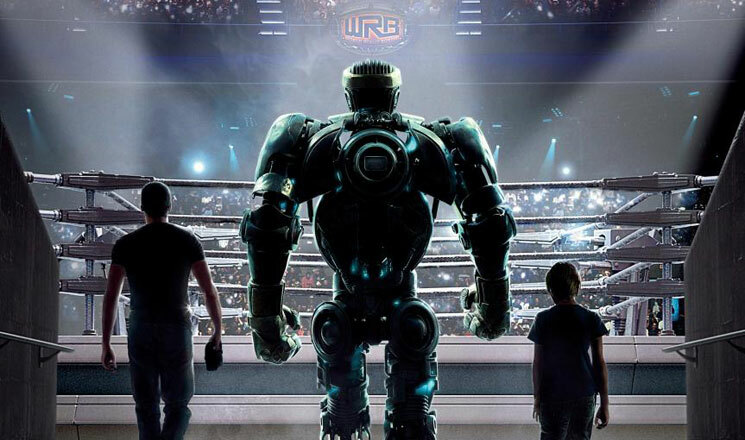 ‘Real Steel’ nailed it; it is truly an outstanding film of its genre. 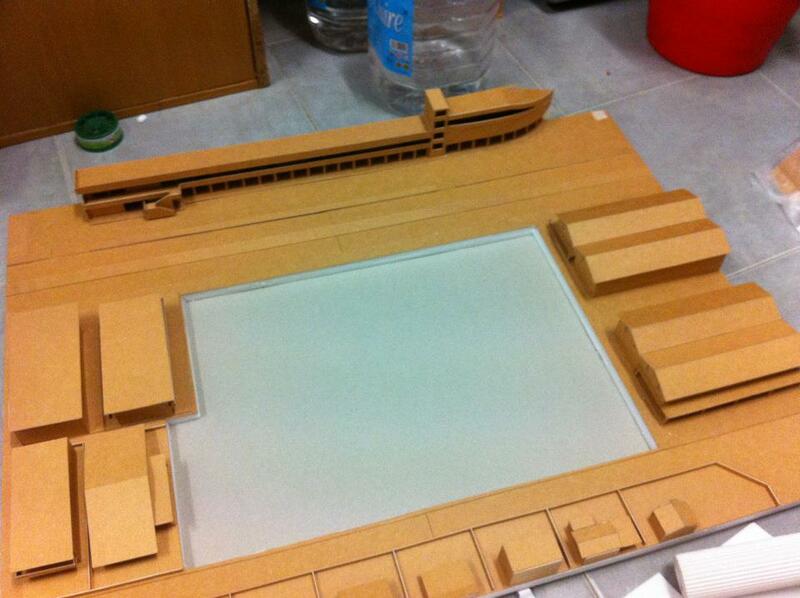 Design submission again…model-making for the site! This afternoon was another design submission again! The last interim crit (pin up in studio) before final submission and completion of portfolio. This last interim is on Part C of the housing proposition assignment which is on design development. Part 1 which is on conceptual and Part 2 on schematic proposal were over last few weeks. Today, is the time for last part, design development. Due to the lack of time, I can’t complete much of the works required. I only managed to draw all plans, 2 elevations and 3 sectional perspectives (nicer and faster, combining sectional with perspective drawings together), and a rough blow-up section. I can’t build the model for my design at this short period of time. Anyway, I did compose all the new works and the previous ones into 4 A2. I think what I lack is a truly compelling image for my final, which I am still thinking for. There is not much feedback today, which is weird, and we are required to pin up again this Thursday…I think there is a bit of time for us to improve. So, maybe I can sort out the compelling image. Model? Ahh…for scale 1:200, it’s very hard and time consuming, and there is too much openings for me to cut…so let that be done only when final submission approaches…which is I think two to three weeks from now on…before end of semester! Last few weeks must be crazy!…before the end of the semester and of my degree study! Very tired lately…I certainly had not enough sleep for the past weekend for the design submission. Hopes everything was fine and feedbacks are satisfying. That is what every student hopes for…By the way, during the reviewing session and even until after the studio session, we spent the time doing the site model. This time, the boundary is covering quite a smaller portion (A1 size) compared to previous site model for the past semester. It’s nice to see quite a beautiful site model of scale 1:200 constructed out in less than 5 hours. I sense last few weeks of the semester is coming! Stress! Don’t know why but nowadays when I try to sleep as I’m already getting very tired lately after the first ten weeks of my final semester is gone, my mind always think of; ‘I still got plenty of assignments to finish up!’. Ahh…stress! As usual, and as expected, especially in this final semester. Even our lecturer told us to sleep for only 2 hours now onwards for every night until the end of the semester. That must be killing me! I definitely couldn’t do that….that would kill my health seriously! Luckily, there is a little form of entertainment for me, in reducing my pressure. Thanks to movies (downloaded ones which I watched a little portion over and over again when I’m having my meal on my working desk to stay away from assignments for a short moment) and also thanks to TVB for having its’ anniversary production, Forensic Heroes 3 starring now, which I have been anticipating for quite a long time. At least I can watch new episode for every night now on weekdays, as a relief to the time in stress up for the heavy workloads. May everything went smoothly and successfully for the last few weeks of my semester!